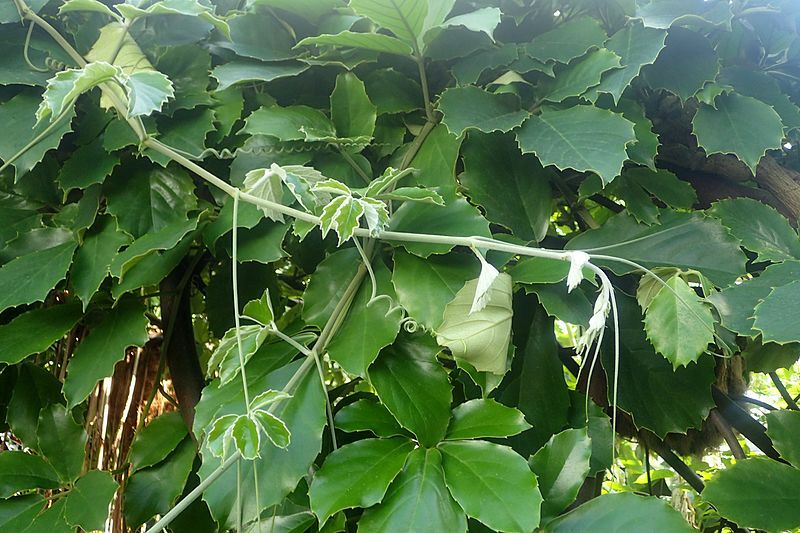 Description: Coarse, stout, rampant vine, young stems and petioles oftendensely tawny-pilose to woolly; leaflets mostly five, 4-8 inches long, usually rhombic, weakly serrate to crenate-serrate, puberulent to tomentose beneath, petioles 4-12 inches long; sepals lacking or very short. Bearing 'pearl bodies' on the lower leaflet and stipular surfaces which are used by visiting ant species. 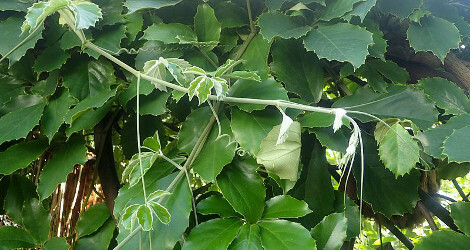 Rafflesia kerri is parasitic on Tetrastigma vines. Culture: Propagate via semi ripe cuttings, provide heat and high humidity and a well drained mix. Tends to rot when under mist. Image #00 (cropped) and #01 (original) by Krzysztof Ziarnek, Kenraiz (Own work) [CC BY-SA 4.0], via Wikimedia Commons. Last accessed on Tuesday, July 18, 2017. 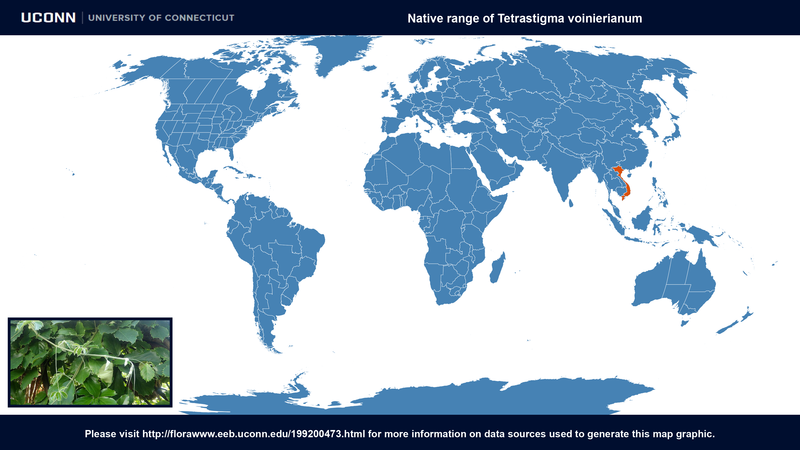 Tetrastigma voinierianum at ARS-GRIN. Last accessed on Friday, October 05, 2018.